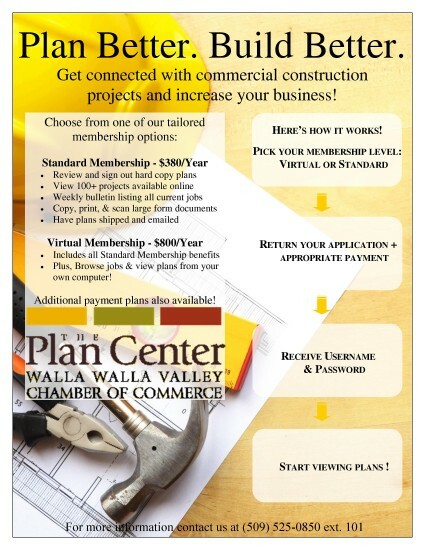 The Chamber’s Plan Center is a central location that connects its members - contractors, subcontractors, service providers – with regional commercial construction projects that are out to bid. All Plan Center members can stop in to review available plans as hard copies or online using our state-of-the-art work station. Or, join as a Virtual Plan Center member to view, track and search projects online from your personal computer. The Plan Center also provides large format printing, scanning, and copying services at competitive prices.